Of all the R7 and R9 series cards that were released today, the AMD Radeon R7 260X is the most intriguing for a variety of reasons. 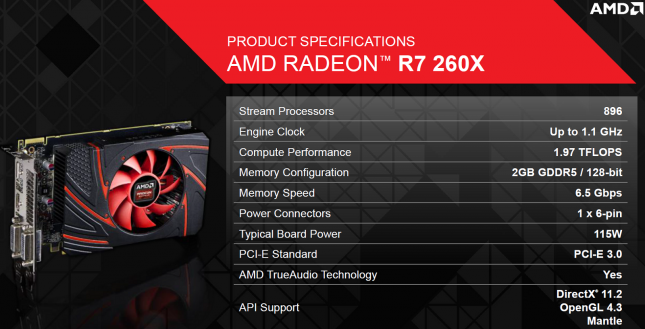 This card is essentially a re-brand of the AMD Radeon HD 7790 with some unlocked goodies that were previously unknown. 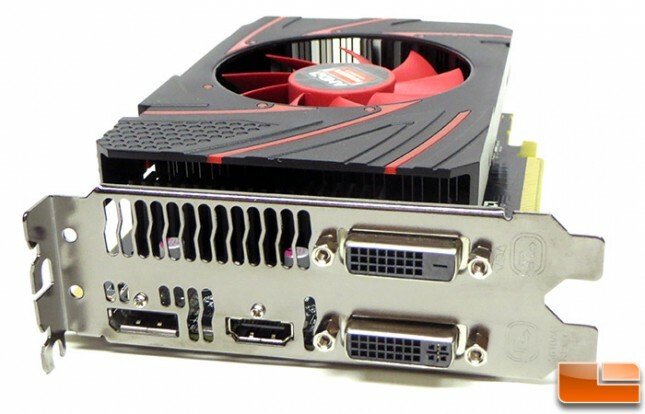 For example the Bonaire XT GPU used on the AMD Radeon HD 7790 was the first GPU to feature AMD TrueAudio and advanced CrossFire technologies. 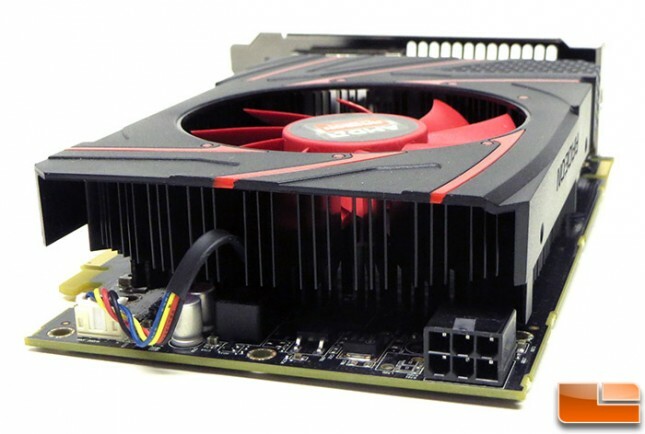 When the AMD Radeon HD 7790 was released in March 2013 there was no disclosure of these advancements, so it came as a shock to everyone that AMD had new technologies in this brand new GPU. We aren’t sure if AMD will ‘allow’ the Radeon HD 7790 to be ‘unlocked’ through the drivers or a BIOS update to get some of these new features, but time will tell. Since the new AMD Radeon R7 260X uses the same exact 28nm Bonaire GPU as the Radeon HD 7790, it should come as no surprise that it features 896 stream processors and 2 GB of GDDR5 memory on a 128-bit memory bus. The only big change here is the clock frequency has been increased from what it was on the AMD Radeon HD 7790. The AMD Radeon HD 7790 was clocked at 1000 MHz on the core and 1500 MHz on the memory. The new AMD Radeon R7 260X runs at 1100 MHz on the core and 1625 MHz for the memory. These new clock speeds help the card have 1.97 TFLOPS of compute performance versus 1.79 TFLOPS before. and is aimed at gamers that play at 1920×1080. Other than the clock speeds you have a new GPU cooler design and that is it! 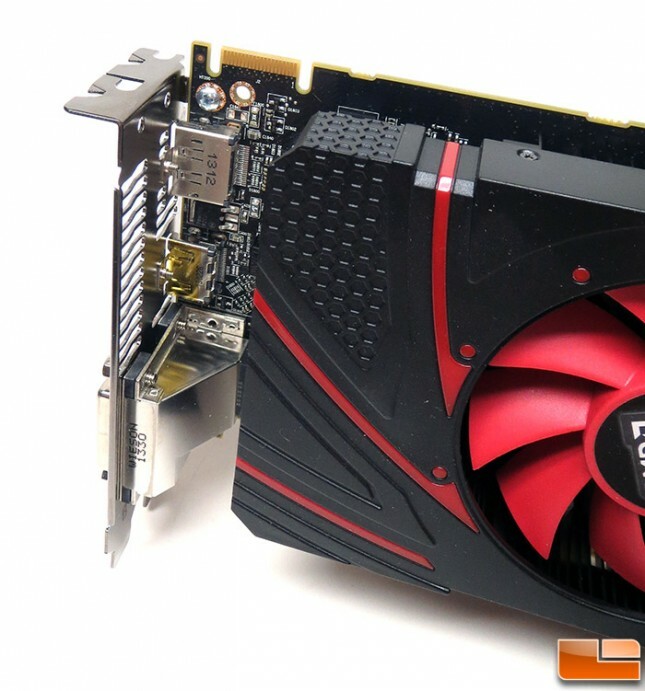 Let’s take a look at the AMD Radeon R7 260X reference card! The AMD Radeon R7 260X is a dual-slot video card that measures right at 6.8-inches in length, which makes it ideal for small form factor PCs where space is a premium. When it comes to video outputs you have a pair of DVI connectors (DVI-I and DVI-D), Display Port and HDMI. The AMD reference card has a high-flow hot air exhaust bracket that is identical to the one we saw on the Radeon HD 7790, which is said to reduce air noise and improve airflow for better cooling. 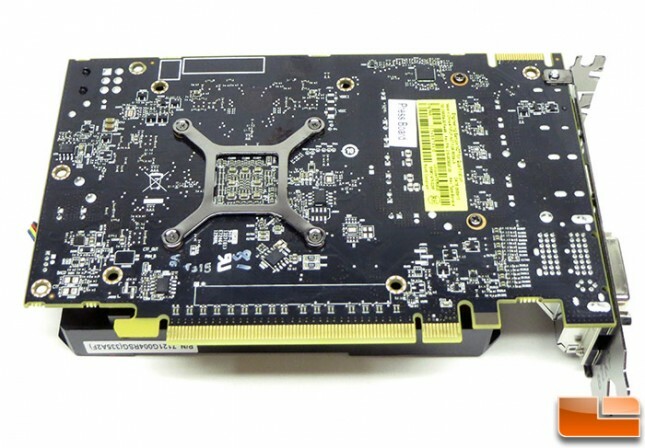 The AMD Radeon R7 260X has a single 6-pin PCI Express power connector located at the end of the video card for 75 Watts of additional power. AMD recommends a 450W or greater power supply with one 75W 6-pin power connector for this video card to operate properly. The AMD Radeon R7 260X has a single CrossFire interconnect on top for pairing it with another graphics card. The back of the card doesn’t have a backplate and none of the memory chips for the 2GB of GDDR5 memory are located on the back. Our board did have a ‘press board’ sticker on it, so hopefully we don’t have a cherry picked board or something! 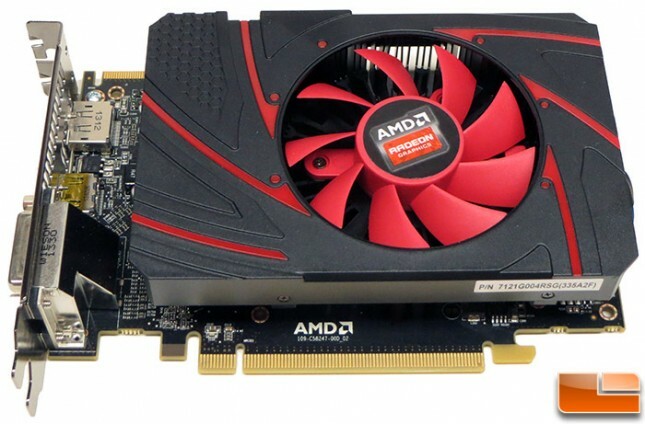 The AMD Radeon R7 260X 2GB is priced at $139, which means that it is direct competition for the NVIDIA GeForce GTX 650 Ti BOOST 2GB video card. NVIDIA cut the price on the NVIDIA GeForce GTX 650 Ti BOOST video cards this week down to $129 on the 1GB model and $149 on the 2GB version. NVIDIA did this ahead of the release of the AMD Radeon R7 260X release. We checked Newegg and found a GeForce GTX 650 Ti BOOST 1GB card for $109.99 shipped After Rebate (AR) and an overclocked GeForce GTX 650 Ti BOOST 2GB for $119.99 shipped AR. 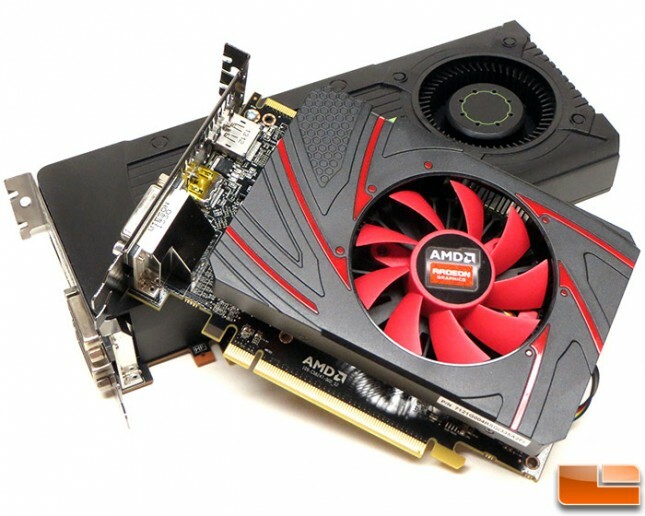 Before the $20 rebate the AMD Radeon R7 260X and the NVIDIA GeForce GTX 650 Ti BOOST 2GB are priced the same at $139. Let’s see if the AMD Radeon R7 260X is faster than the NVIDIA GeForce GTX 650 Ti Boost!